Sun Microsystems was a company that created hardware, software and information technology. Sun are credited with the phrase ‘The network is the computer’ which was coined in the early eighties. Sun were acquired by Oracle in 2010 and operations have continued at the Linlithgow plant. 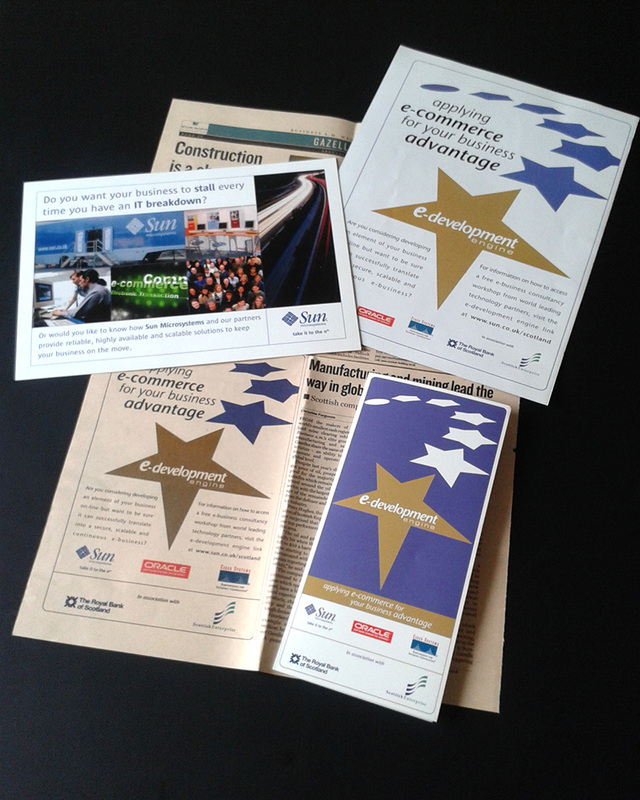 Design for print: mailshots, leaflets and press advertising. 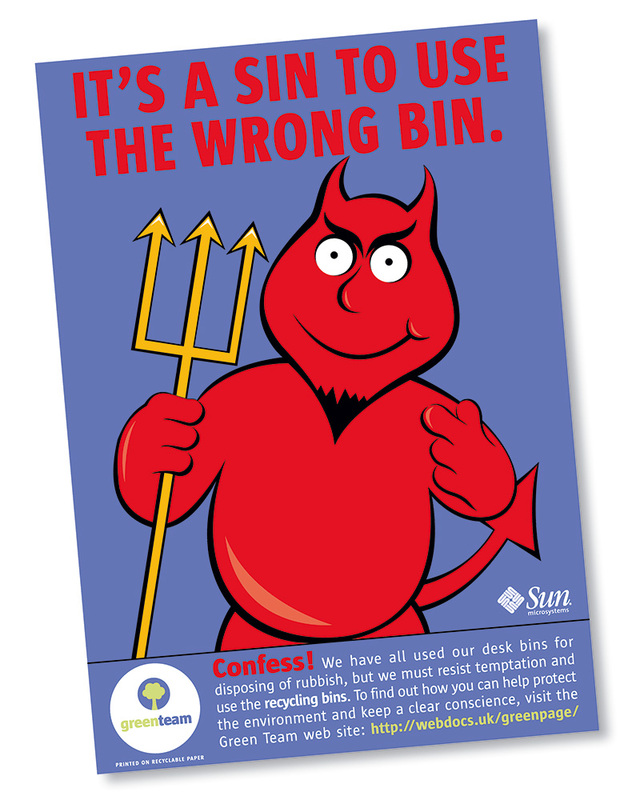 Internal communications: Sun wanted to change staff behaviour and encourage recycling at the Linlithgow plant. 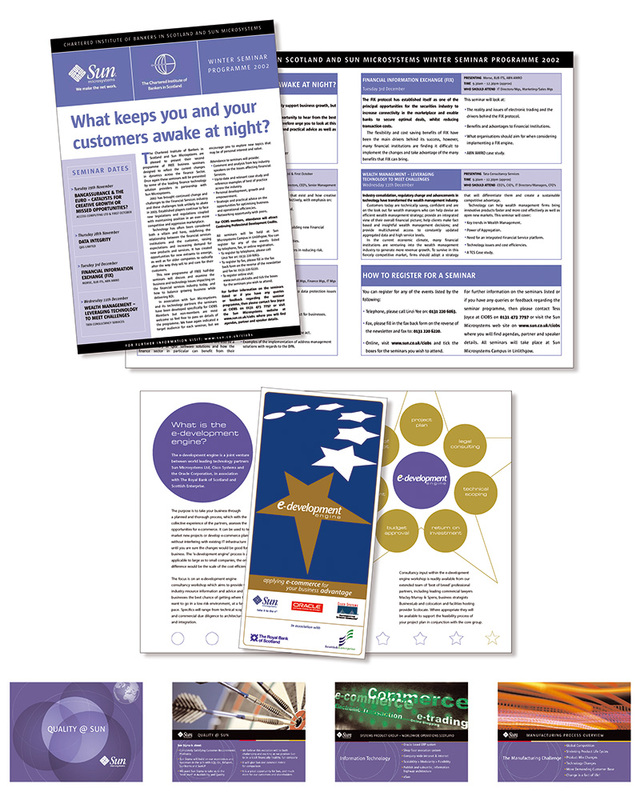 Printed newsletter, leaflet and PowerPoint presentations. Call 0131 618 2999 to discuss your graphic design requirements.